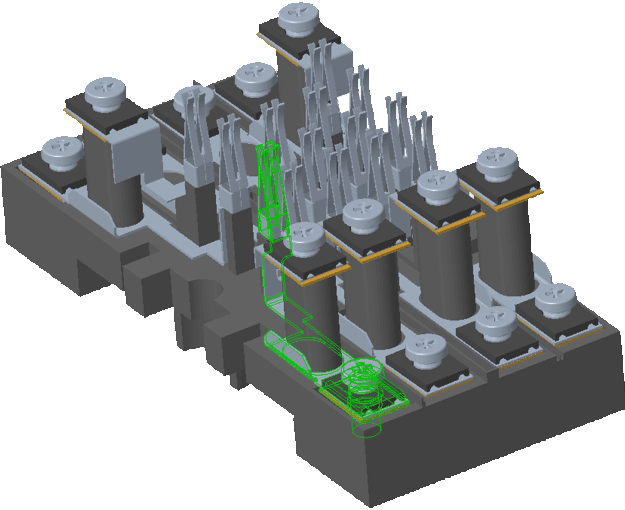 The integrated 3D viewer is highly optimized for clearance and creepage visualization. Surfaces can be colored according to their CTI values in order to get a better visual feedback about material properties. In CCX, there is the possibility to highlight all elements of a certain material type (conductive, insulating, undefined). 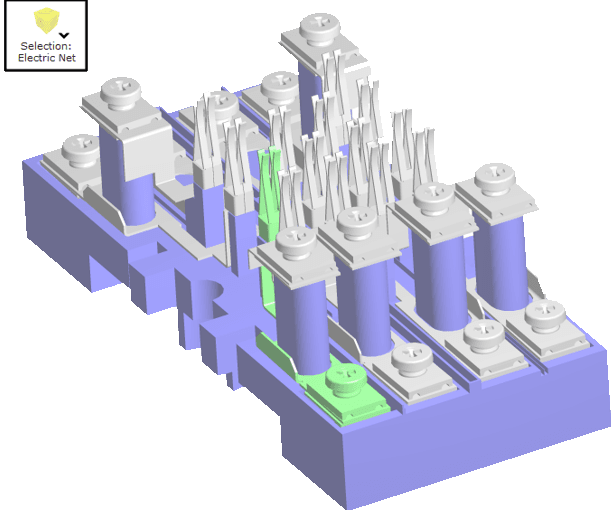 In the CCX Viewer, there is a special color mode which colorizes the elements according to the material types. This allows for a quick verification of the assigned properties. Electric nets can be viewed and selected in a more comfortable way. 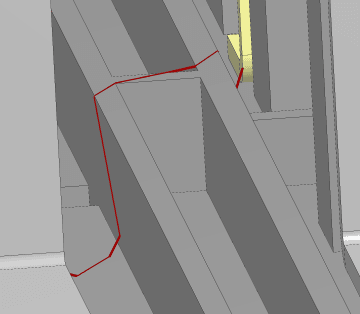 In CCX, selected nets are highlighted by means of highlighting the edges of the respective components. 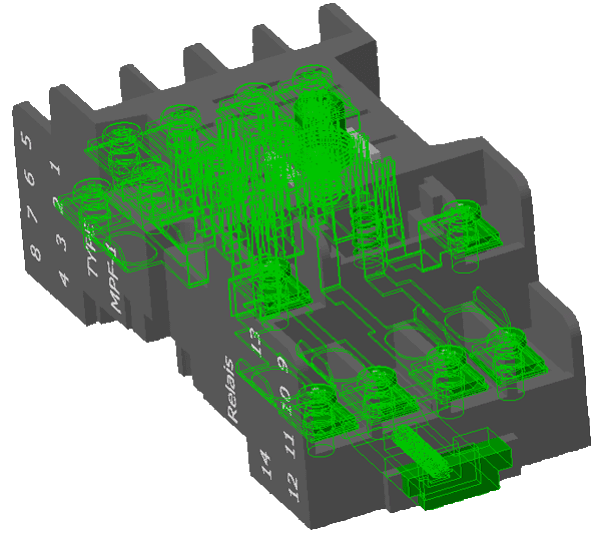 In the CCX Viewer, all surfaces of a selected net are colorized, providing a better overview of the contents of a net. Also, a special selection filter allows for a one-click selection of a net in the graphics. Paths are displayed considering occluding objects, allowing for a better understanding of the course of the path. In CCX, paths are always rendered without considering occlusion, making it sometimes difficult to understand the course of the path. 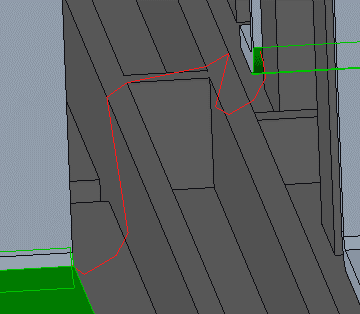 In the CCX Viewer, paths appear in a more natural way, considering occluding objects. Comments and Tags of a path are equipped with a user name and a time stamp. 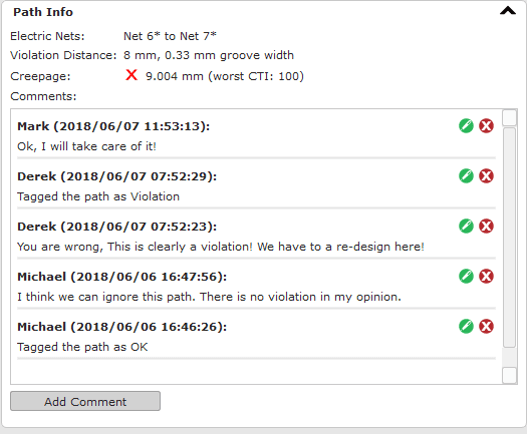 Like in CCX, comments and tags about paths can also be added in the CCX Viewer, where they are additionally equipped with a time stamp and a user name. Thus, the commenting function in the CCX Viewer can be seen as a communication channel between team members, suggesting outsource the result investigation entirely on the CCX Viewer. 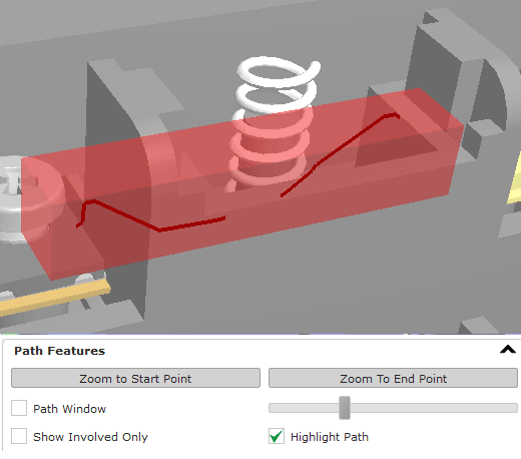 Beside the features "Show involved only" and "Zoom to Start/End Point" known from CCX, there are two additional functions in the CCX Viewer to quickly identify paths. 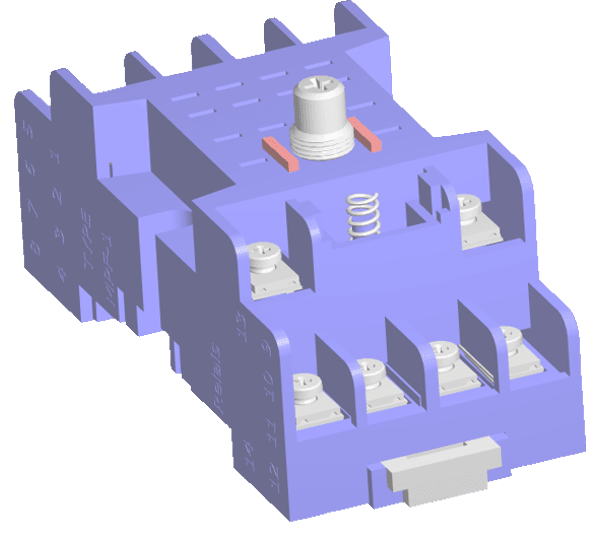 The "Path Window" cuts a hole into the assembly in order to see through occluding object. It’s size as well as the camera position can be interactively changed when this feature is enabled. "Highlight Path" draws a highlight around the path and lets it temporary shine through occluding objects. 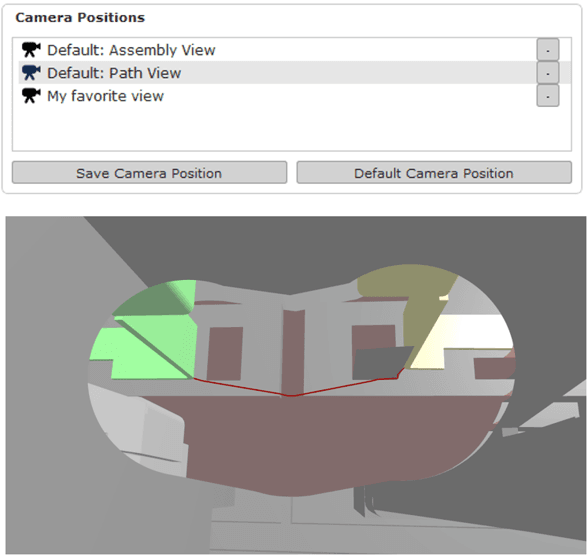 Up to ten camera positions can be stored for each path. Initially, two default positions are automatically created. 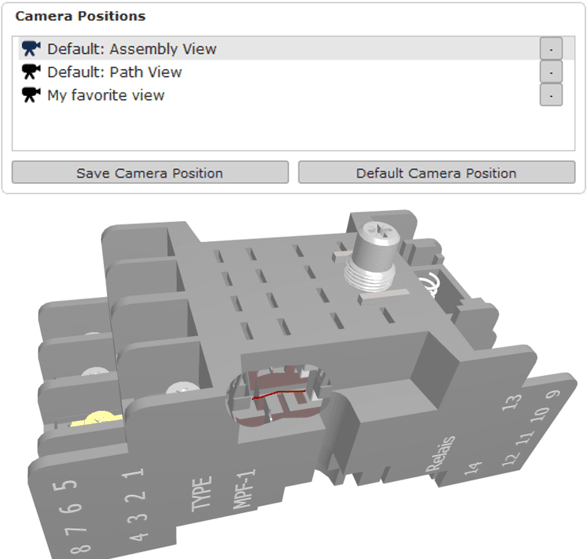 The default "Assembly View" shows the path with enabled path window in the context of the entire assembly. 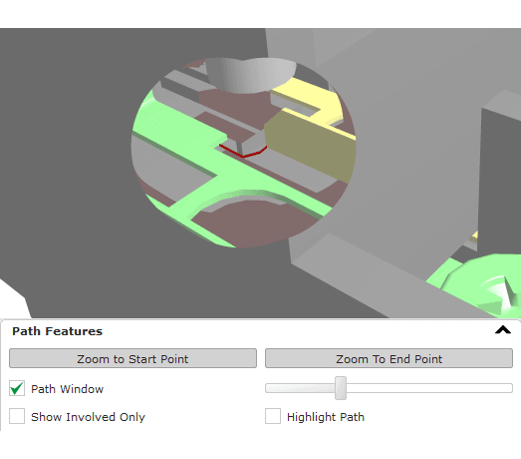 The default "Path View" shows a close-up of the path with enabled path window. 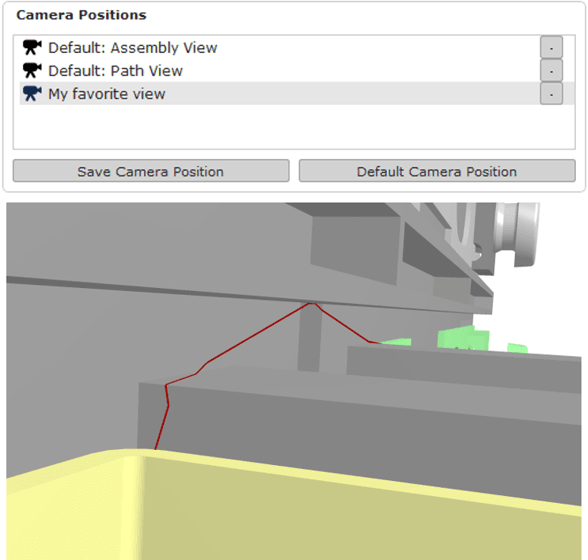 Arbitrary camera positions can also be stored for each path. 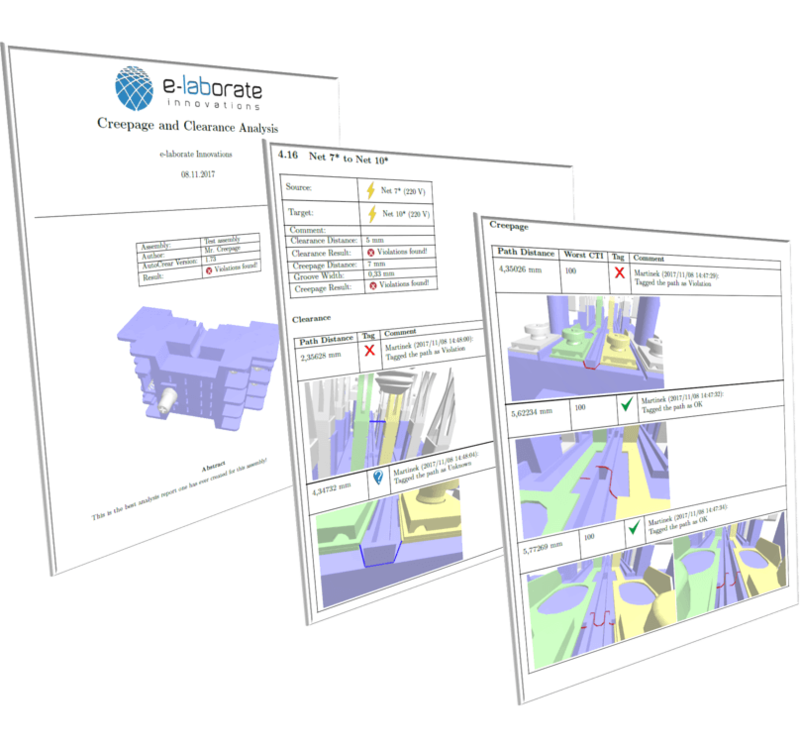 A customizable pdf of html analysis report can be generated from the results. 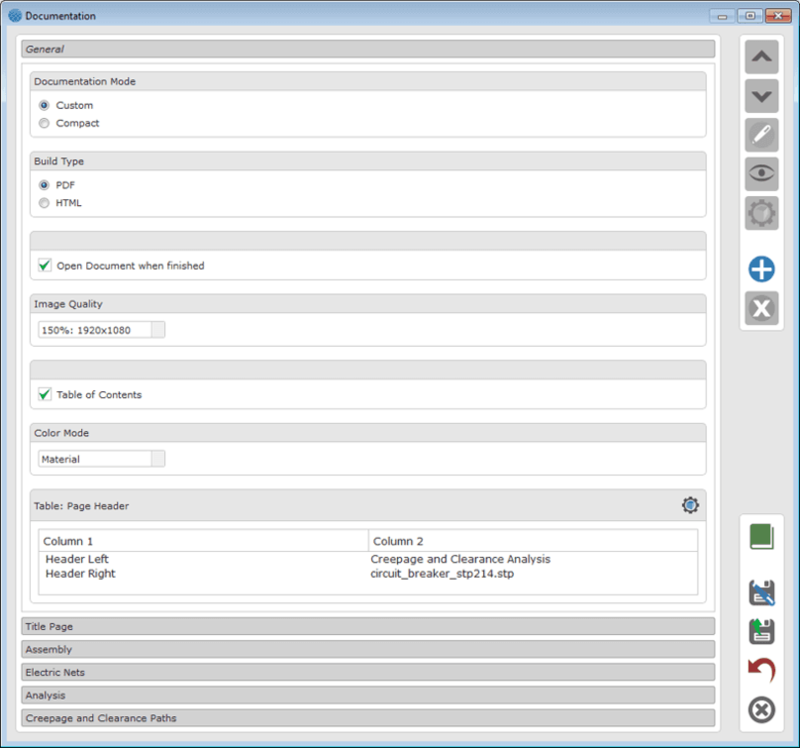 The document is automatically equipped with various screenshots.